Studio 57 Beauty has been pampering the ladies of Sutton for 12 years. We pride ourselves on our very friendly approach making clients feel relaxed as soon as they walk through the door.. 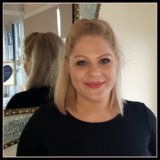 Studio 57 Beauty is proud to have extremely talented and professional staff, you can find out more about them by clicking below. Vikki B is Studio 57’s resident Make-Up Artist. 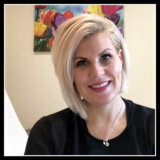 Vikki qualified in beauty therapy NVQ 2 in 2005 at the London college of Beauty. Vikki is also very well known as a makeup artist working on many photo shoots. 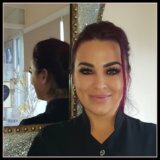 She is very popular with her eyebrow and lash treatments. Joni is Studio 57’s Beauty & Spa Treatment therapist. With 10 years experience and many very happy clients, Joni is always in demand. Joni qualified in NVQ 2 and 3 beauty therapy in 2008 At Carshalton College. After her training Joni spent a lot of time working in spas and has great expertise and knowledge in spa treatments. Leanne is Studio 57’s resident Nail & Wax Treatment professional. Leanne trained in NVQ 2 beauty therapy in 2002 at Carshalton college. Leanne has a real passion for her customer needs and it really shows in her well established clientele. 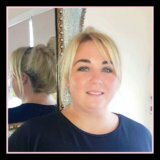 Leanne is very experienced in all Spa treatments but has passion for nails and waxing.